The famous Times Square ball drop in New York City marks the start of the New Year for thousands of people every year. "Serenity is something about having that art and that act of balance. It's about looking deep inside ourselves, being the best version we can be to help your fellow man." And every year Waterford glassworkers design a new series of crystal panels to cover the ball. This year's pattern is called "The Gift of Serenity"
"Serenity is something about having that art and that act of balance. It's about looking deep inside ourselves, being the best version we can be to help your fellow man. And we need to help humanity because this is a time of year that is very special. There are so many people who need our help. That small gesture can go such a long way". 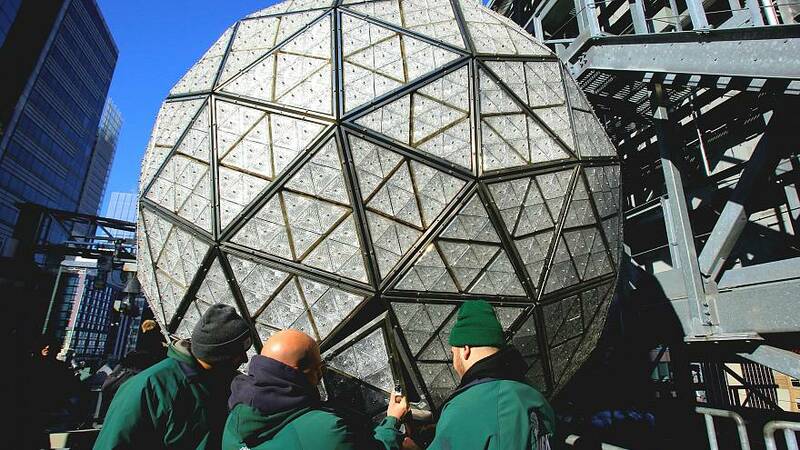 More than 2,600 Crystal triangles are bolted onto the famous ball. Of those, some 1,500 will feature the new custom-made Serenity design. One thing that won't change - the 3.5 metre ball will lead the countdown to 2018 on New Year's Eve. This year marks 110 years since the tradition began in 1907.